OK, Ancestry.com completed their indexing of the 1940 US Census and fast on their heels, FamilySearch.org also completed theirs — Stanczyk is not aware of the status of other 1940 Census providers’ status. Prior to the indexes, I used Dr Stephen Morse’s One-Step website to figure out which Enumerated District (ED) I need to search sequentially, image-by-image. With most ED’s being between 35-50 images, this was not overly taxing and it yielded excellent results — after a week I had most of the people I most wanted to find. State indexes rolled out, a few at a time. I found other high value targets in my index searches. Now that indexing is complete, I had thought to find the last few stragglers. I found some indexes as their was supposed to be in places that I had not suspected and hence the ED search did not yield them to me. A few had names that were slightly off in their transcription but none-the-less were easily findable. Some I had to get creative on imaging misspelling or mis-transcribing and I found a handful more. I hope others did as I did in blazing my trail. When I found a badly indexed name, I used Ancestry.com’s View/Add Alternative Info. So when I finally found my Aunt Kitty (Catherine Eliasz, now married and a Perinoff), who was born as Casimiera Elijasz, but always used Catherine Eliasz in my lifetime. I entered the mis-transcribed name correctly so that other genealogists after me would be able to find my aunt Kitty more easily (and as a bonus they would also find me too). So, where is my Aunt Alice? I had correctly anticipated that both my aunt Alice (the eldest) and Catherine (2nd eldest) would be married and I knew the husband’s name. As you see I found my aunt Kitty. But my best efforts at locating my Aunt Alice have failed. I tried using only her first name or only the last name. I tried by other data points I knew (Detroit, MI, USA — I kept broadening the search, even though I “knew” she was in Detroit). 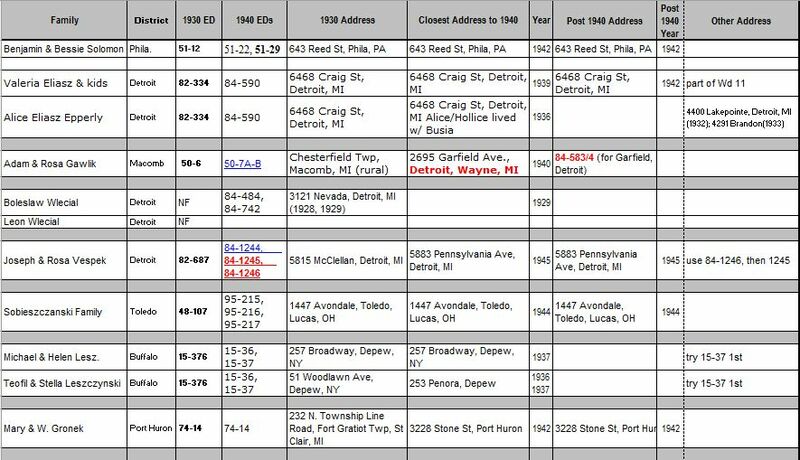 I tried locating a woman living in Detroit born in 1910 +/- 1 year (then 2 and 5 years) who was born in Poland (and Russia, just in case they still referenced Russian-Poland partition in that way). No luck !!! I tried searching for her fist husband — not found either ?? So I tried locating her second husband — no luck, he was still single living at home with his parents. No Alice and no first husband — could they have been missed? So here is my list of most sought after ancestors: Aunt Alice (nee Eliasz), could be listed as some corrupted version of EPPERLY (although I tried a combination of this I could think of). My mother’s sister Helen McLean. My dad’s cousins: Emil Leszczynski, Stephen/Matthew/Stanley Sobieszczanski. I thought I would find Emil. I was prepared to find him living away at college (law school) — no luck. As for the Sobieszczanski boys I was surprised, that outside of their brother Henry, I could find none. Perhaps the three are in the US military — after all I had another uncle that served in the US Navy 1935-1938. How about you? Do you have any AWOL ancestors from the 1940 Census too? Drop me a line (comment or email). 2012 has certainly been a very good genealogical year for this jester. Recently, Ancestry.com completed the 1940 index for NY and I was thrilled to find my grand-uncle Frank Leszczynski ! Grand-Uncle Frank (aka Franciszek was 75 in 1940, and was the god-father at my aunt Catherine’s birth in 1914 and was from my great-grandfather Tomasz’s first wife, Julianna). He is a Naturalized citizen on/before 1940, after having filed in 1931 (Declaration of Intent). Why he is living with a family of Pawelczak as a lodger is a question. After all, he has two half-siblings living nearby, including my grand-uncle Michael whom he was living with when he filed the Declaration of Intent in 1931. So why live at 819 Oliver Street in North Tonawanda (Niagara County, NY) with the Pawelczaks — which he & the Pawelczaks did since 1935 according to the census data? I still need to find Frank’s death certificate and death notice (if possible) and his Naturalization papers (Erie County or more likely Niagara County). Ancestry on 5th-June-2012 also released indexes and images of the NY State Census for 1892, 1915, 1925 (previously they had done 1905, partially?). NY Censuses & 1940 US Census both making my research in NY state a little more complete. 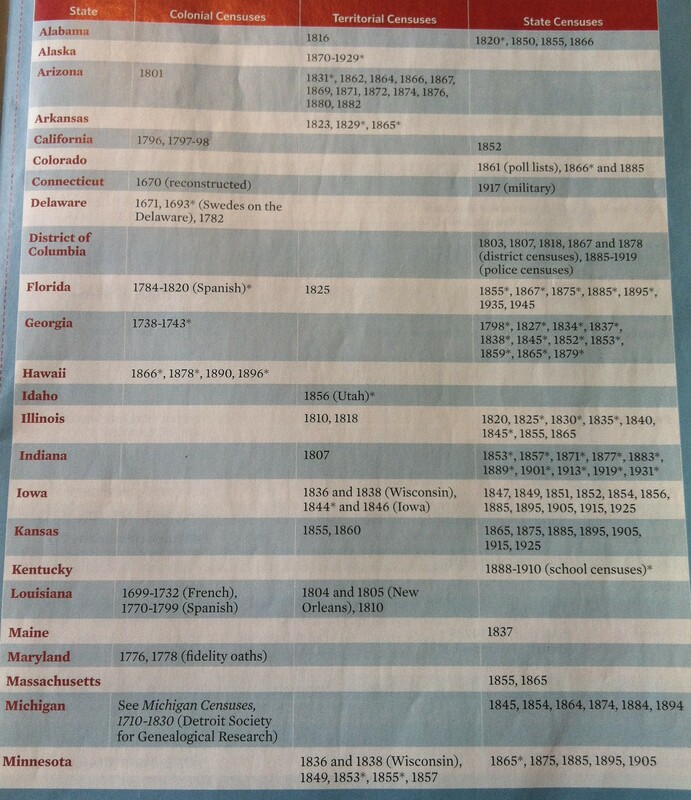 Family Tree Magazine had a nice “Cut & Save” chart on State Censuses (not the US Federal Census). 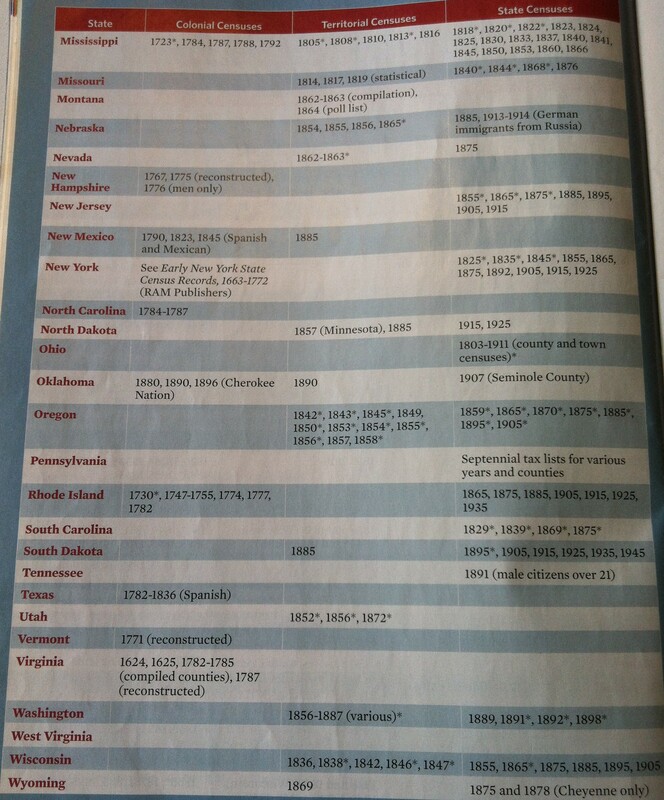 Here is my Cut/Saved images of the States and their Colonial or Territorial or State Censuses that are available … somewhere. Stanczyk has finished his preparations for the 1940 US Census (sans index). After the index is finally transcribed, I will query widely for years. But for 2012, I needed to be able to search via the Enumeration District. As I said before, I made extensive use of Drs: Steve Morse & Joel Weintraub 1940 Census Tool . I created a spreadsheet. I listed the most important people I wanted to find in 1940. I used the 1930 US Census and recorded their Enumerated District (ED). This is a necessary precursor to looking up the ED’s for 1940. The only other way is to start from a street address. Now use the link to the 1940 Census Tool [see above] to convert your 1930 EDs to 1940 EDs (or your last known address to 1940 EDs). I made sure that when I got a long list of possible 1940 EDs that I used their ED descriptions and the Google Map to highlight the most likely ED (or EDs) to start with. I also used the Ancestry.com City Directories (Beta) to finalize my analysis. While doing that I got the idea to pose and hopefully to answer with the 1940 Census some questions. I noticed in a 1941 City Directory that one of my Gawlik/Gawlikowski families started using, Gawlick . In fact due to emails with another genealogist I was prepared to accept Gawlick for this family already. Well there they were using Gawlick for their family name. There was also another detail in the city directory. It showed that Kath (the wife) was a widow (of Anthony) in 1941. OK, so now I had a boundary for the last possible year for Anthony Gawlick (aka Gawlik) as 1941. I tried to use Ancestry.com’s older city directories and I noticed that they were sparse (not all years) and also when they had a year, it was not always a complete scan of that city directory so my use of Historical City directories was hit or miss for some families and/or streets. But none the less, I was able to find Anthony alive in the 1939 city directory! Ok So now I had a short range: alive in 1939 … to dead in 1941. So maybe the 1940 will tell me is, “Anthony alive or dead in 1940”? I added that question to my list of questions. Will I find Rose Wlecial Gawlik’s brothers living with her? Why have I had such a hard time locating her borthers (Boleslaw & Leon) in city directories? Is Anthony Gawlick alive or dead? Is my grandmother’s older half-brother Frank Leszczynski still alive in 1940 (he declared his intent to be a US Citizen in 1931)? He’d be about 75 years old in 1940. I wonder what age he use (70 or 75) since I have multiple birth years for him? Also, I learned in my preparations that he used a younger half-brother’s address in 1931. So I wonder is Frank Leszczynski living with Michael Leszczynski in Buffalo/Depew at 257 Broadway in the 1940 Census? Until I had access to historical city directories, I had never realized that Michael and Frank had both lived at the same address — nobody ever mentioned that in any interview or email. So beyond the facts that the US Census will provide about who is where and how old they are and whether they are US citizens or not, I am hoping to see what the older men were veterans of which US conflicts. The questions related to the Great Depression will also be interesting for all and will certainly be relevant to the political discourse of today — particularly as we march onward to the November elections. Most of my immigrant Eliasz (aka Elijasz) forebears are deceased before 1940. My grandfather (Joseph) died in 1930 and my grand-uncle (John) died in 1936. So only Mary Eliasz Gronek can be found. Will I get any clues about Detroit Stanley Elyasz (a 1st cousin of my grandfather) and how about Buffalo Stanley Eliasz (is he a cousin or a sibling of my grandfather)? The suspense and the anticipation is growing. Good thing we had WDYTYA last night and tomorrow night we will get the first episode of Henry Louis Gate’s genealogy show on PBS. Those can help ease the suspense for now until a week from Monday. 1940 US Census – 16 days away! Stanczyk apologizes for being away for a few days. I have spent some of that time preparing for the 1940 US Census (sans index). So I made extensive use of Drs: Steve Morse & Joel Weintraub 1940 Census Tool . I created a spreadsheet. I listed the most important people I wanted to find in 1940. I used the 1930 US Census and recorded their Enumerated District (ED). This is a necessary precursor to looking up the ED’s for 1940. The only other way is to start from a street address. Now use the link to the 1940 Census Tool [see above] to convert your 1930 EDs to 1940 EDs (or your last known address to 1940 EDs). 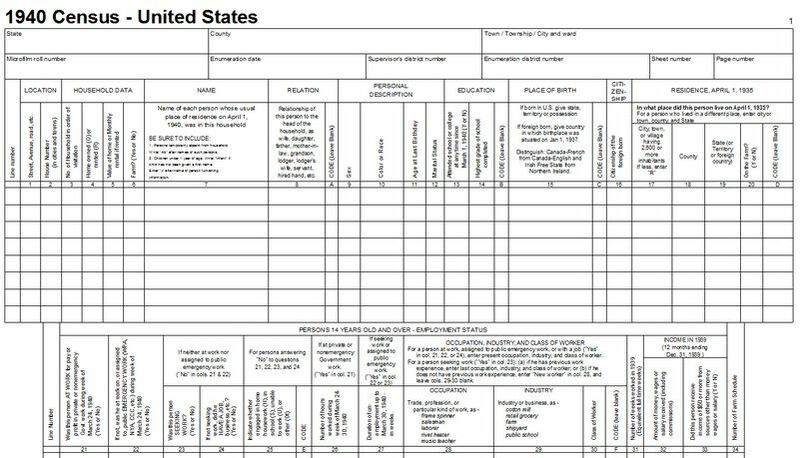 Legacy Family Tree has release blank US Census Forms (page1 | page2) for the 1940 US Census. April 2nd is coming, are you prepared? Is Ancestry.com prepared? At #RootsTech 2012, the 3rd keynote was an Ancestry talking-head panel. They joked about whether the website could withstand the crush on April 2nd. Let’s see how this experiment goes. This is the first US Census to be released in an all digital format. Stanczyk noticed that genealogist, Ceil Wendt Jensen has been letting all genealogists know about a new website to help with the 1940 US Census (which arrives in April 2012). Here is the website: http://www.1940census.net/ . Have you prepared for the 1940 Census yet? If not, my prior article or Ceil’s link ,which has many resources, is a whole website that can help you prepare. Also, do not forget the Steve Morse.org website. If you go to Steve Morse’s One-Step Website or you go to the US National Archives, you will see that as right now you have 198 days (and 17+ hours) to prepare for the 1940 US Census (which arrives 72 years after census, to protect privacy). This time it will be on April 2nd (2012). Are you preparing? Ancestry.com says they will give us free access to the 1940 census (for a while). The last time (10 years ago) there were no indexes at the release and you had to do a lot of brute force searching page-by-page through an Enumeration District (ED), so you had to know the whereabouts of your family and be able to use the ED’s boundary cross streets to figure out which ED you needed to go page-by-page through. “Supposedly”, Ancestry.com says the indexes will be there (all of them? on day 1?). I hope they are correct and I hope this year they do not use foreign people to index the names — which was quite a snafu the last time and of course they were re-indexed (always time/money to do it a second time, but not enough time/money to do it right the first time — Stanczyk was a consultant too long and saw this again and again in many industries). Determine the ED ahead of time in case there are no indexes or the indexes are BAD. Figure out ahead of time some novel misspellings of the surnames your are searching for in case the indexer or the Census taker messed up your ancestor’s name. DO NOT lock yourself into assuming they are in the same state (or county or city). At first try with many details filled in, then relax a field at a time until you find your family -or- you can go in the opposite direction if your name is not common and start with the fewest fields filled in (usually just surname) and add in fields if you need to cut down the number of results. Use an address from any document prior to 1940, (ex. Naturalization Forms) if you do not have any idea where they live in 1940. Use the latest document’s address that you have to guess at an ED [again using SteveMorse.org]. 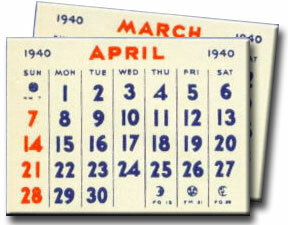 If the above fails try and find the address, the earliest as possible after the 1940 Census and see if they were. The Old Man’s WWII Draft might fit the bill for most people. Those are my tips. Any other tips you are using? 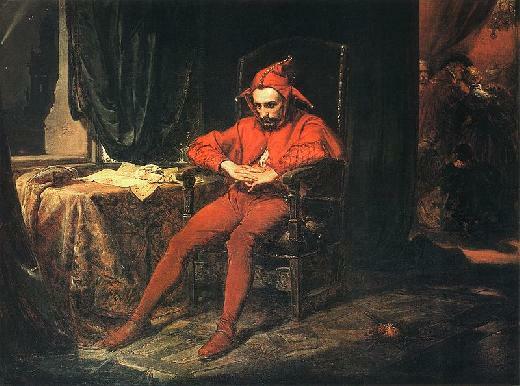 Then email this jester or make a comment, please. Prepare as if you were going to a Library or an archive or the Family History Library. This is a War Census, so I do not know how they dealt with the many households that had soldiers away at war. Were soldiers listed on the Census or not? For all women who are or have been married: Number of children ever born (do not include stillbirths). Veterans: War or military service.